The British press is currently full of articles asking ‘whether it is OK to make your Christmas gifts’ and announcing that sales of ‘thrift’ and make-it-yourself books have rocketed. It’s all rather entertaining from the perspective of a long term crafter because I find it hard to envisage a Christmas or birthday in which many of my nearest and dearest are not the happy recipients of something that took time to make. In this last week I’ve finished up a couple of things that I think I’m safe to show here. If you think that you get cold on the train in the morning and you work in Oxford then skedaddle – come back after Christmas! 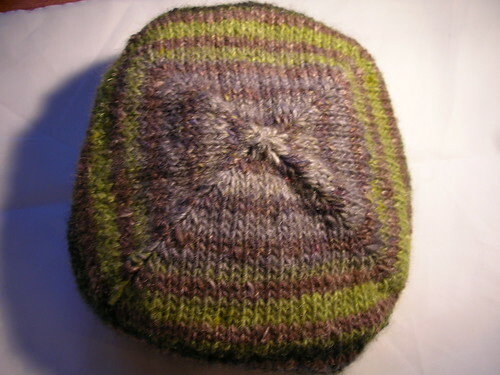 I fell down a little Noro shaped rabbit hole. Oops. I asked our friend A whether he wanted anything particularly soft and woolly for Christmas and he may have mentioned more than once that he got a little chilly on the station in the morning. 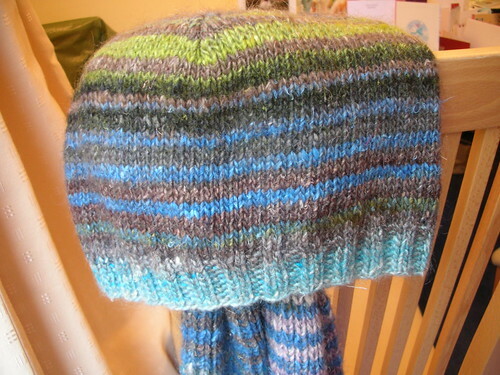 He is conservative in style and muted of colour so I cast around for the plain and simple but not so plain and simple that the knitter would end up in a garter stitch induced coma on Christmas eve. 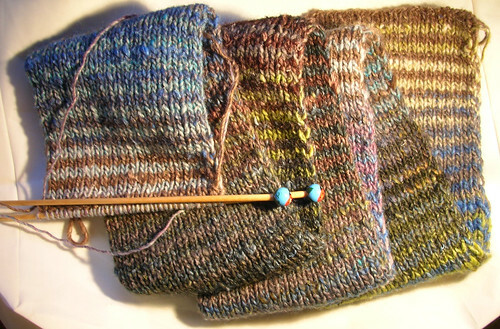 Enter Silk Garden colours 234 and 203 and the skills of Brooklyn Tweed – the scarf follows his pattern for a Noro striped scarf and the hat is Turn a Square using 203 for the main colour and 234 for the accent. H, who has hereto shown no interest in a scarf, is now dropping hints so I think this must be a hit. The best bit though? I got to knit the scarf on my wonderful Peace Fleece ladybird needles – bought in Paris on our first wedding anniversary. I’m going to have to knit more of these scarves just to use the needles!